Most of us are aware that digital’s influence on offline retail purchases is strong, and getting stronger. How strong? Well, a study entitled Navigating the New Digital Divide, from Deloitte Digital, puts it well into the 11 digit range. According to the report, all of digital influenced more than $1.7Trillion in retail sales in 2014, with mobile influencing a strong majority of that total, at $970Million. The report points out that digital’s influence varies by category, with industries like electronics having the highest influence exerted by mobile and digital, and food coming in at the low end. 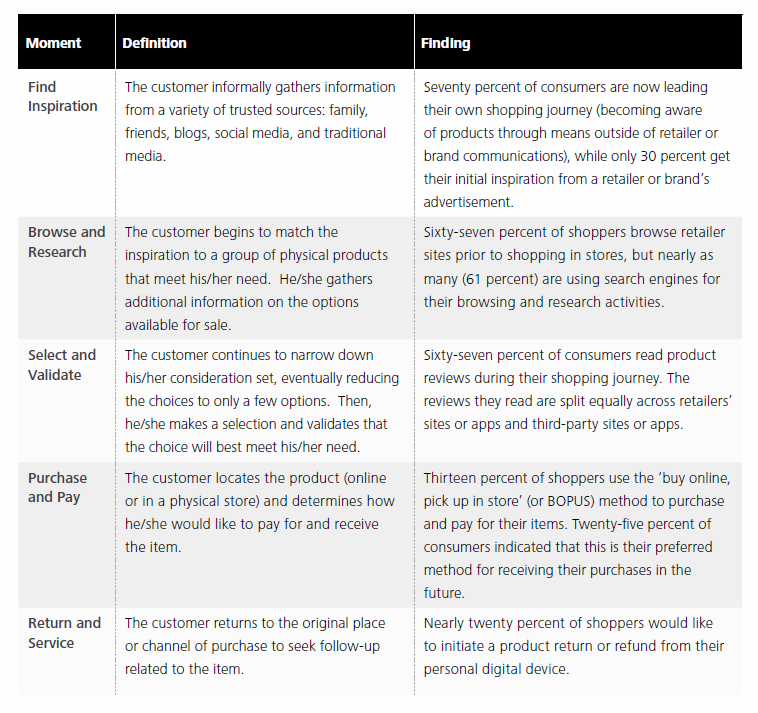 The study also offers this thought-provoking grid on the many ways digital and mobile devices are used within the retail buying process. Studies like this are important because they provide quantitative data – hard figures that underscore the need to take mobile seriously as a sales and influence channel. And that underscores the need to ensure that we understand the actions that people take with their phones and the signals that those actions can give us. There’s lots more info available in the report, which you can download here. A related study, entitled The Dawn of Mobile Influence, is available here.